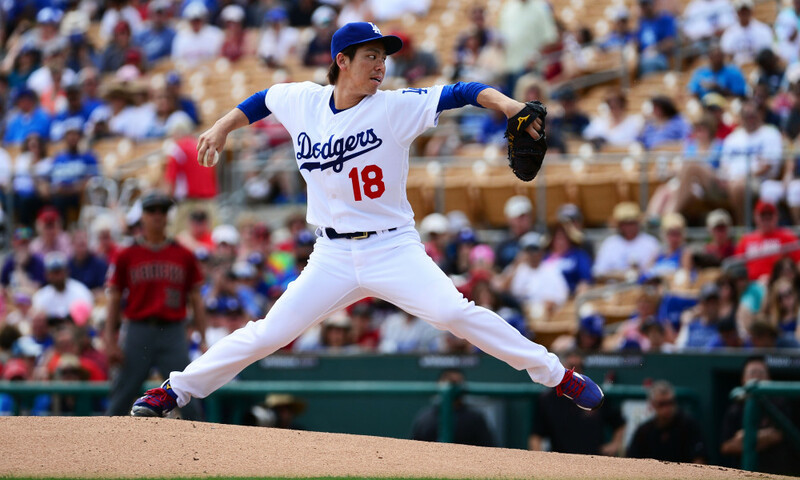 Kenta Maeda recently made his Cactus League debut, wearing his Los Angeles Dodgers uniform for the first time in a Major League Baseball game. However, that’s not the only exciting first for the pitcher. 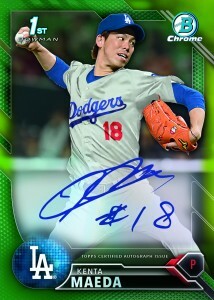 The Topps Company is proud to announce the Japanese import will be signing cards for Topps® products this season. Maeda’s first autograph will appear in 2016 Topps Legacies of Baseball™, which is scheduled to come out on March 30. Maeda, 27, will appear in a number of 2016 Topps® baseball products, including 2016 Bowman® Baseball where he will have an autograph. Maeda spent eight years playing in Japan where he compiled a 97-67 record with a 2.39 ERA. The Dodgers signed him to an eight-year deal in the offseason, and has been one of the most-talked about players leading up to the 2016 season. Maeda is expected to make his MLB regular-season debut in early April. Baseball fans will be able to find Maeda cards in other Topps products such as 2016 Gypsy Queen®, Museum Collection, Tier One®, Tribute® and more. Follow Topps on Twitter @toppscards, Instagram @toppssports, and Facebook www.Facebook.com/Topps.